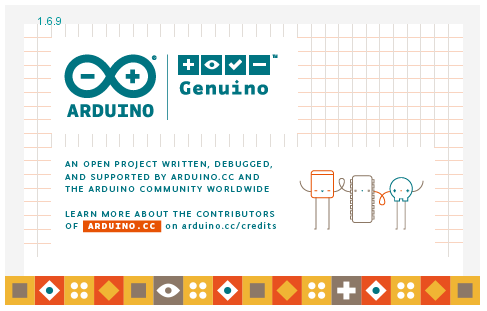 Arduino IDE 1.6.9 recently released, is an open-source Arduino Software (IDE) that makes it easy to write code and upload it to the board. It runs on Windows, Mac OS X, and Linux. The environment is written in Java and based on Processing and other open-source software. This software can be used with any Arduino board. Fixed IDE version color on about dialog box. The "always-on-top update notification" popup is now less intrusive. Fixed untraslated string during IDE startup splash window. Cut/Copy actions are disable when there is no text selected. Added more OSX native (emacs-like) keybindings. Fixed Ctrl+Del: now deletes the word behind the cursor instead of the entire line. Fixed "Verify code after upload" option in preferences. String class now supports iterators. sam: Allow 3rd party boards that depend on SAM core to use their own USB vid/pid and manufacturer/product strings. avr, sam: Added "reciper.ar.pattern" to plaform.txt to allow compatibility with older version of Arduino IDE. Bridge / bridge.py: added support for SSL sockets (Yun firmware >=1.6.2 is needed).